We all know how complex the federal retirement system is. There are so many ifs, ands, or buts that it will make your eyes glaze over. It makes for great reading material at bedtime, so it makes sense that many details are not fully grasped by the average civil servant. These misunderstandings sort of take a life of their own, evolve and develop into myths. I’ve spoken to many federal workers contemplating retirement that have stated these myths as fact to me. These myths all have an element of truth to them which possibly causes people to believe them so readily. Incorrect. Many federal employees think the annuity is an “all or nothing” benefit. They believe if they don’t fulfill the complete requirements of a full retirement, they’ll never be eligible or receive an annuity. It is true you have to meet age and service minimums to receive an immediate annuity; an annuity that begins 30 days from the date you stop working. This is probably the half-truth where the myth originates from. These minimums are 30 years of service at your Minimum Retirement Age (MRA), 20 years of service at age 60, or 5 years at age 62. However, if you work at least 5 years before leaving Federal service, you could be eligible for deferred retirement. You defer the FERS annuity until the age you would have received the immediate annuity. You defer payment of the annuity. Incorrect. They are referring to the Internal Revenue Service (IRS) 10% early withdrawal penalty tax which applies to an Individual Retirement Account (IRA). In general, you can’t withdraw funds from an IRA account without paying a 10% penalty on the money you pull out. This is where the confusion stems from. The TSP rule is that if you retire at age 55 or older (younger than 55 for Public Safety Employees), you can access the funds within your TSP account without the 10% penalty. Half-true. If you are FERS, you generally don’t receive a COLA if you are under age 62. This also applies to the FERS Special Retirement Supplement, which is a bridge payment to help retirees under 62 until they are eligible for social security payments. Civil Service Retirement System (CSRS) retirees do receive COLAs before age 62. So it depends on what retirement system you are under if you get a COLA or not if you are under 62. Half-true. It is true that if you retire before age 62 with an immediate annuity, you are eligible for FERS Special Retirement Supplement. The exception is if you are CSRS or you retire with the MRA+10 provision. However, what people aren’t aware of is if you have wages from another job after you retire from federal employment, your SRS is reduced. It is reduced $1 for every $2 you earn over the Social Security income limit. For 2017, this limit is $16,920. So if you take a job with an annual income of $60,000, you would be $43,080 over the limit ($60,000 – $16,920). Your penalty is half of that ($21,540 or $1,795 per month). If your SRS benefit is below this amount, it would be reduced to zero. Therefore, the SRS is dependent on income and age. Incorrect. Buyout allows agencies which are downsizing to offer employees a financial incentive to separate from federal service. It is completely independent to the individual’s retirement status and does not change that. The incentive maximum has traditionally been $25,000 and has not changed for decades. There are some agencies which are allowed to offer more. The formal name for a buyout is Voluntary Separation Incentive Program (VSIP) authority. It is separate from the Voluntary Early Retirement Authority (VERA), which lowers the age and service requirements in order to motivate employees to separate from federal service. The VSIP targets individuals in all phases of their career while the VERA is more geared towards employees late in their career but not yet eligible for retirement. Incorrect. There are a few variations this myth. Another one is “I’m going to try to pick up as much overtime as possible my last year in service in order to increase my High-3”. 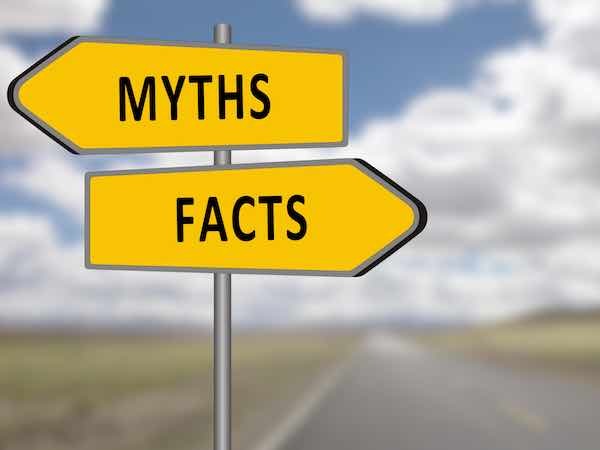 Or, “I’m going to retire in January after I receive my COLA.” These myths are related to employees not understanding how the High-3 is calculated. The “high-3” is the highest average basic pay you have received over 3 consecutive years. It does not incorporate overtime pay. It has nothing to do with the salary level of the position you are in when you retire. It is simply the basic pay you have received.